These earrings are made from memory wire. I added multicolor wood and metal beads. 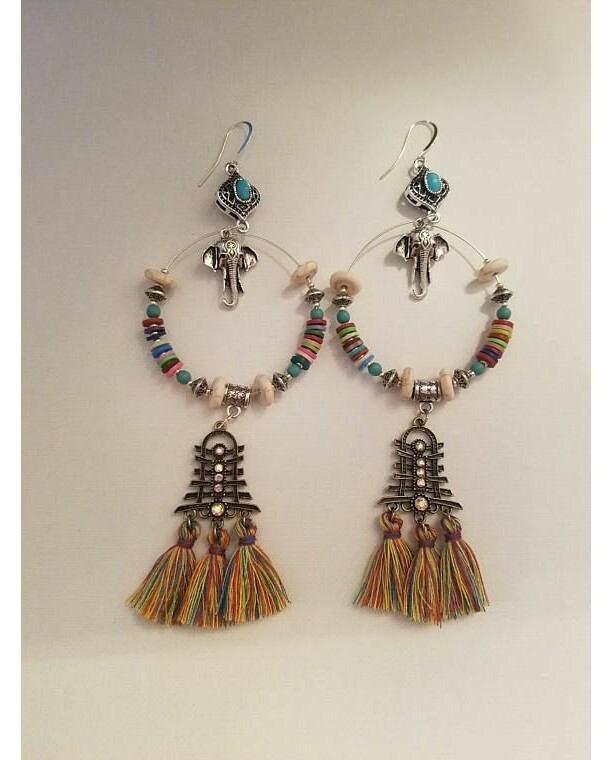 Bottom of earring is a connector with rhinestones and colorful small tassels. 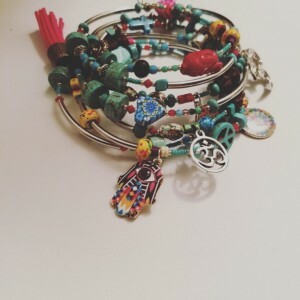 On top of earring is a small silvertone connector with faux turquoise stone and small silvertone elephant charm that dangles. Ear wires are silvertone.